This will be a subject that most people do not like to think about or even talk about, but the reality is…tax season is upon us – again. Did you get married during the last calendar year or planning a wedding for this calendar year? There are several things that you will need to know about when you are filing your taxes this year. Did you know that for filing purposes, you are considered married for the full tax year as long as you exchange vows by December 31st? There are some pros and cons to filing taxes after getting married. Most couples choose to file jointly; however, you can also send in your returns as married filing separately. While most couples prefer the joint option; separate filings may be more beneficial or needed depending upon your particular financial and tax circumstances. Filing jointly is usually a good idea if both partners work and one makes considerably more than the other. Combining incomes can help to bring the higher earnings into a lower tax bracket. Some tax credits are only available to a married couple when they file jointly. Separate returns might be considered if one partner has large medical bills and can meet the deduction threshold by considering only his or her income. Other itemized deduction thresholds (miscellaneous deductions or casualty losses) also could be easier for just one partner to meet. 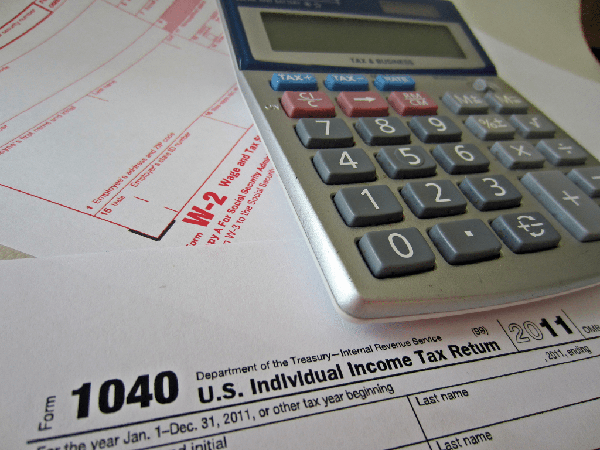 This might offer better tax returns or decrease the amount of taxes owed. However, know that if one partner itemizes, the other one must as well. This could be a negative if the other would fare better claiming the standard deduction. Separate filing also is recommended when a spouse has concerns about tax claims the other wants to make. In most situations, when couples file jointly, each partner accepts equal responsibility for any tax due or penalties that might be assessed if problems arise with the return. While this is not an exhaustive list of pros and cons for filing taxes after marriage, we wanted to alert you to the fact there are different rules in play once married. We would recommend that you contact a tax expert or someone who knows all the rules and changes for tax season 2015 and can guide you to assist with finding the best options for your situation. It might also be a good idea, if planning a wedding for 2016, to discuss the options and challenges for taxes to help you be more prepared for next year when filing.